I had recently felt challenged to start being careful about my diet. It's not that I'd been overly unhealthy, but how much fruit was I eating? How many carbs was I having? I was feeling particularly tired and in need of a change so February has been a detox month for me. It's been a month of getting on top of my lifestyle, making little changes rather than drastic diets and I've got to tell you, I've never felt better. Here's the changes I've been making that have taken me from tired and lethargic to feeling fab! I've cut my caffeine intake from a shocking 8 cups of tea a day down to just 2. Having recently read an article on the negative effects of caffeine I was particularly concerned. Did you know that short-term side effects can include headaches, nausea or even anxiety? I didn't and I certainly don't want to keep chancing them with drinking so much. I'm drinking hot water with a slice of lemon. I love cold water, but hot, not so much! Adding a slice of lemon makes it so much tastier, making it a more bearable replacement for a cuppa. 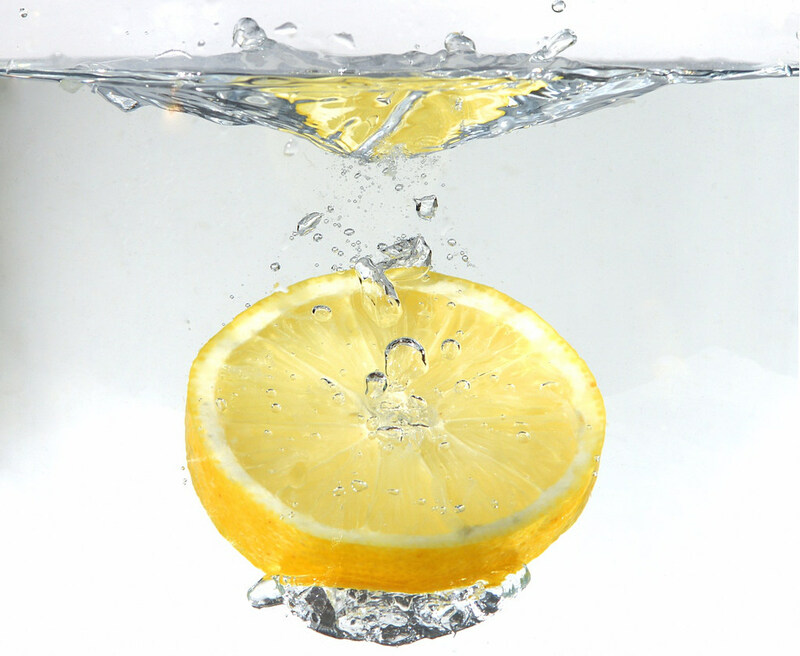 The lemon has huge benefits such as being an excellent source of vitamin C, helping to flush out toxins, aiding digestion and improves skin condition to name a few - sounds pretty good to me! I'm also drinking A LOT more water. Every time I finish a glass I fill it up again and leave it in eyeshot, this way I'm reminded to keep drinking throughout the day. I get up early. Tiredness isn't just caused by lack of sleep. When we feel out of control or stressed our bodies suffer. My temptation is to lay in bed as long as possible in the morning, but the problem is, we then have a massive rush on our hands and the end result is me feeling stressed by the time we leave. By getting up an hour or so earlier I can get on top of everything I want to before my little man gets up. I go to bed early. This one's hard but I'm working on it. I need at least 8 hours sleep, if I'm getting up at 6.30 I need to replace my sleep the other end. It's a discipline and sometimes I literally have to set my alarm to make myself go to bed on time. I have radically changed my diet. I've cut out a lot of carbs, wheat and sugar. To be honest, I hadn't really realised the difference this had made until I then allowed myself weekend treats such as toast for breakfast and lots of sugary snacks. My energy levels almost instantly seemed to drop again and I felt lethargic. I've increased my fruit intake. I don't always find it easy to get my 5 a day! By whizzing up a couple of bits of fruit for breakfast and drinking them as a smoothie it's a lot more appetising, I feel great afterwards and sustained until lunchtime. I read the Bible every morning. I used to read it at lunchtime, but there's something to be said for starting the day by looking to God and reading His promises first thing! By getting up earlier I've made time for this! Over the last few weeks my energy levels have massively increased. I've felt great and rather than craving a biccie or piece of chocolate in the afternoon to give me that lift, I've felt energised and ready to face the world! Why don't you join me in getting in control of your lifestyle and try some of these things? If they work I'd love to hear from you!